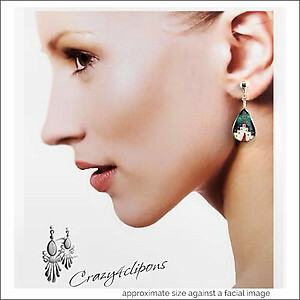 Features: These are fun earrings! 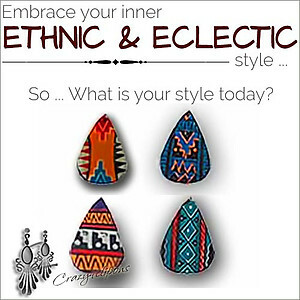 Colorful with ethnic tribal themes. 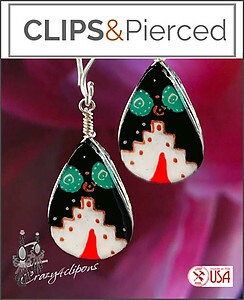 Flat ceramic teardrops are painted on the front for a splash of color. Unique and sassy. Back is solid black. Light and so wearable. Superb for vacations!